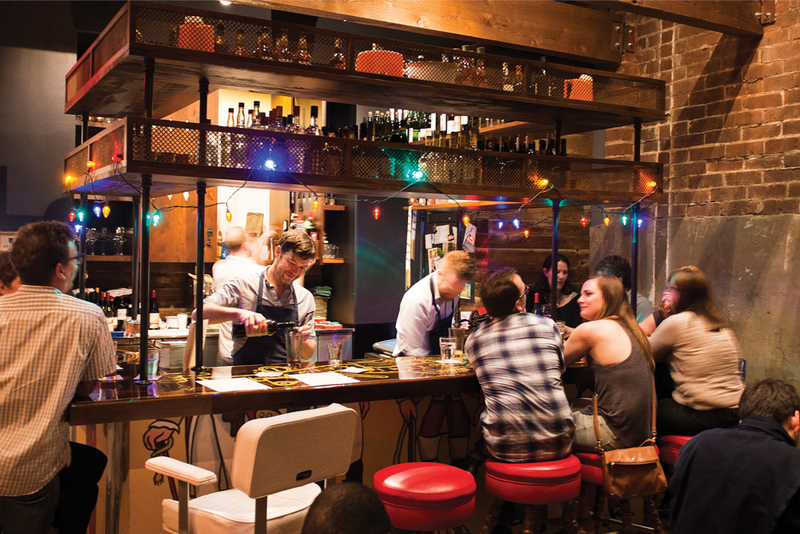 While this dark little room in the corner of Krog Street Market is where Greg Best and Paul Calvert—two of the city’s most ingenious mixologists—ply their trade, the kitchen pushes out a quality menu. Executive chef David Bies’s playful lineup offers vegan fried rice as well as a fried clam roll and grilled Virginia lamb with white bean puree. Sunday brunch is a similarly high-low mix; diners can get a bacon, egg, and cheese on a Kaiser roll as well as a Rap Sheet—a cocktail made with blanco tequila and orange bitters.